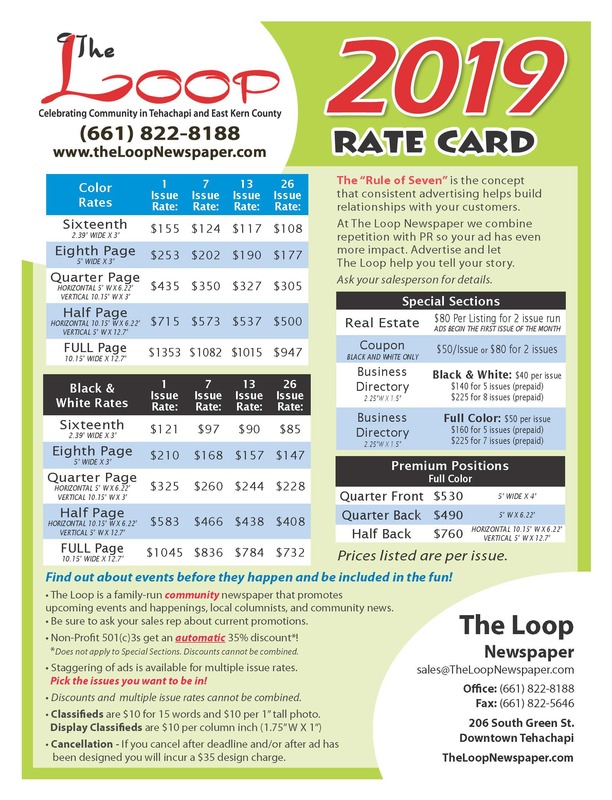 Established in 2001, The Loop Newspaper is a bi-weekly community newspaper located in the heart of downtown Tehachapi. 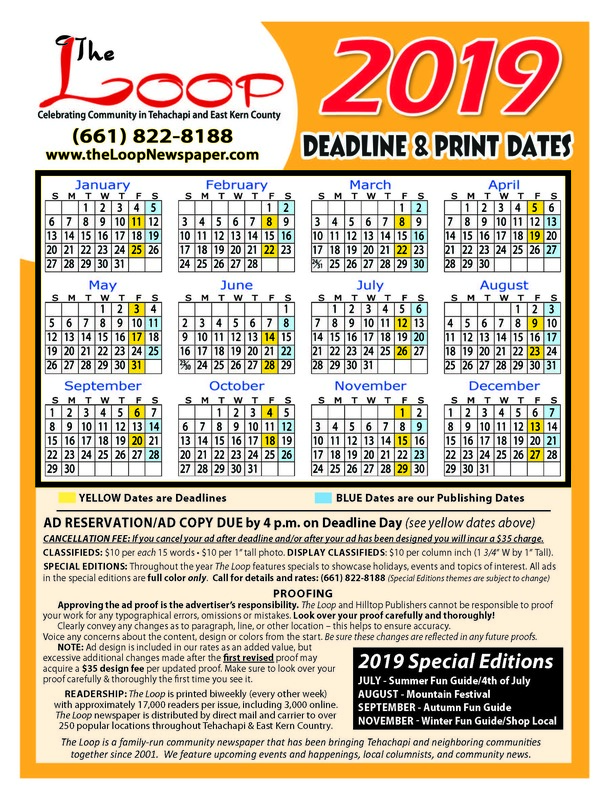 The Loop is distributed to over 200 locations throughout East Kern County, and has the widest distribution of any local publication. 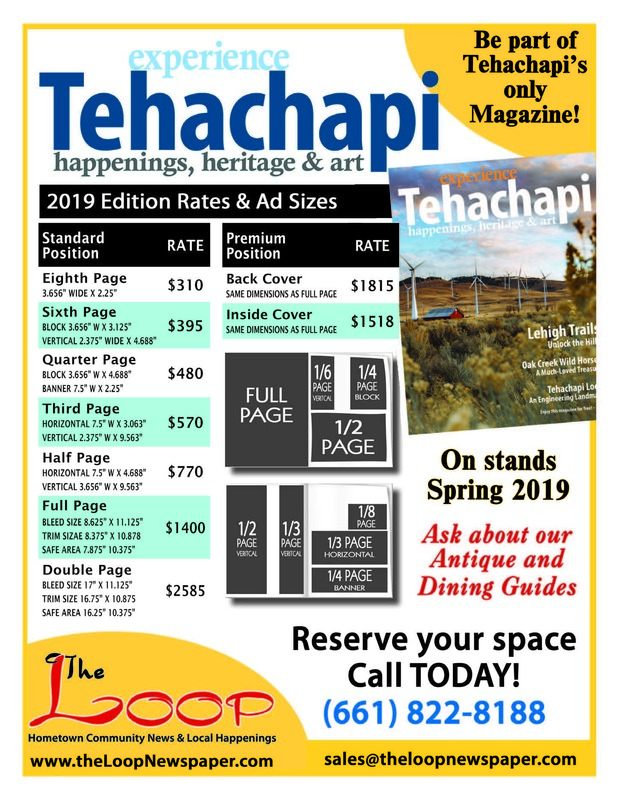 We have stands in the Greater Tehachapi area, Keene, California City, Mojave, Rosamond, Lancaster, Bakersfield, and Edwards AFB. Be sure to ask your sales rep about current promotions.